I’m about to leave the main body of the US: I cross into Washington state tomorrow, then it’s 300 miles to the Canadian border. When I was in Europe, my accomodation was a fairly standard mix of campsites, hostels, a fair few friends’ houses and the odd cheap hotel. 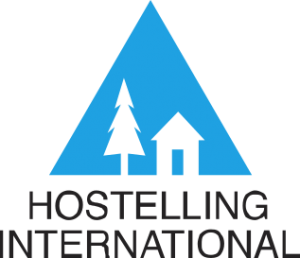 Coming to the States has been a shock to the system though as the accommodation scene is quite different: hostels basically don’t exist and reasonably-priced campsites are like hens’ teeth in most parts. 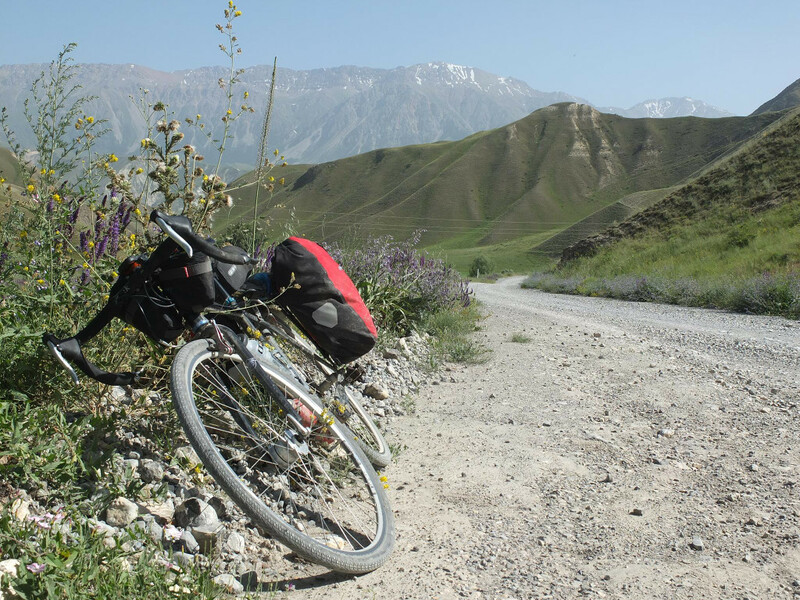 If you want to know how to survive as an itinerant cyclist in America without resorting to a whole load of caffeine pills, read on. This came as a nasty shock as hostels play a leading part in pretty much any solo trip around Europe, but Americans don’t seem to have them. You might think their absence is because the country is so much bigger than ours but I think the blame lies elsewhere: Australia is equal in size to the US yet they have a huge backpacker culture. So why is it? The lack of public transport doesn’t help – because if you have a car you might as well sleep in it, and if you don’t have a car then backpacking is much less feasible. Americans also have less holiday allowance than us, so effectively have double the budget for the two weeks they do get off. 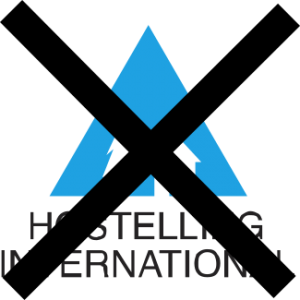 Then there’s the prejudice: I did some Googling and it seems a lot of Americans think that sleeping in a dorm is ick, hostelling is for homeless people, motels are good value and that everyone else thinks just like an American and therefore a hostel could never turn a profit. This is where Australia differs: they created their backpacker market by giving out lots of working holiday visas to affluent foreigners who could come over, work for Aussie farmers and then give all their fruit-picking earnings back to Australia via the bars and hostels. It’s a piece of genius on the part of whichever Aussie invented it but is Donald Trump’s US likely to see it that way? Somehow I don’t think so. Okay, I’ve found one so far, in Kansas City. At forty dollars it was pretty expensive for a hostel too. It did at least have a hostel weirdo though, because no hostel is complete without its resident weirdo. More on that, perhaps, in another post. 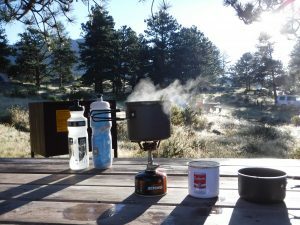 Breakfast at the campsite in the Rocky Mountains State Park. Wild camps weren’t allowed here, and the state campsite cost $26! Commercial sites: These can sometimes be good. Mostly though, they’re RV parks which want to charge me either full RV rate or just a few dollars less, so $20 or well upwards. I tend to avoid these as if I get to a place and find it’s extortionate, it’s a lot of faff to go somewhere else. State parks: In Oregon I’ve finally found a state where they understand bike camping! 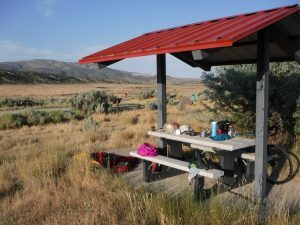 The state campgrounds have a ‘hiker biker’ section which will cost less than ten dollars but will include access to the water, electricity and toilets – in other words, the sort of thing I was used to in Europe but which now seems like an impossible luxury over here in the States. City Parks: A special mention goes to Kansas, which allows you to camp for free in all its town greens and often provides facilities such as electricity to supplement the water and toilets. Kansas isn’t the most interesting state to ride but in terms of stress-free camping it’s a clear winner. Audax Hotels: Here’s one I stayed at in Utah. Don’t you love it when the authorities provide such good camping facilities for you? ‘Audax Hotels’: Sometimes you find the perfect spot to hide from the world, shelter from the rain, blow up your mat and cook your food. The classic UK version is the bus shelter – sadly we don’t have many of those over here but city parks are usually a winner. Just make sure you’re well hidden though or you may get a 5am visit from the law enforcement. Wild Camping: This is my default method of sleeping, where if everything else fails I pitch up anywhere and lay my head in the nearest flat spot to hand. You might have heard it called stealth camping, guerilla camping, boondocking … it has almost as many names as it has varieties. It might be miles out of town in the middle of the country but equally it might be in a farmer’s field, in a sheltered spot just next to a road, in a city park (just watch out for any 4am water sprinklers) or even just next to a prohibitively expensive campsite, where I can then sneak in and ask some unsuspecting resident for the toilet code. 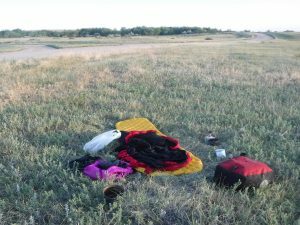 Wild Camping in Colorado: When you’re in the middle nowhere, the weather’s dry and the bugs are few, you just lie down by the road. If you go into an outdoor store such as REI, you can buy t-shirts bearing the slogan ‘Leave No Trace’, which is the supposed mantra of wild camping. However, unless you’re in some amazingly civilised country (e.g. Scotland) you’re probable doing something illegal, so the real mantra is this: Don’t Be Seen. This is like Couchsurfing for cyclists: you open up your home and advertise free beds on their website. Here’s my profile. I’ve loved having guests back home but over here it hasn’t been as useful as I’d hoped, as most hosts tend to be clumped together in cities or around the major cycling trails. I’ve had some good two night stays around rest days but for one night road accommodation, they’re only really useful if you’re pretty sure that you’ll arrive quite early in the evening. I like to do a lot of my riding towards the end of the day so keeping a host up is not really fair. There’s also the issue that lots of members don’t reply to requests. I really wish the admins would do something about this, possibly banning people whose response rate falls below a certain threshold, but for now I either have to request several beds on the same night – which I don’t like to do – or else I need to book several days in advance, which is tricky if I’m trying to push my distance each day. Unfortunately, I think Warmshowers is going to remain an occasional treat. So far I’ve stopped with Jarrod and Gabi in Colorado, Eric and Judy in Nevada and Dario in California. Jarrod and Dario were both former office mates from my last job – in Japan I’ll be staying with the parents of another colleague Koki so this trip is starting to feel like a tour of the office. Are there any other former York Plasma Institute employees reading this who’d like to give me a bed? 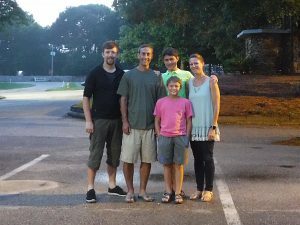 Here I am with Bill Myers and his family at the Grandview YMCA, AL. Bill took me in, fed me, let me sleep in the sports hall and then took me out for breakfast the next morning. What a guy! Some of my best nights have been with people I’d never met before: Barry was part of a cycling club I met in a shop in Miami; Bill and his family put me up at the YMCA in Millbrook AL after I was sent there by one of his colleagues; Freddie hosted me in California after finding me looking rather sorry for myself with two punctures. Right now I’m staying with Jayne and Stephan, another couple near Portland, who I bumped into (well, not literally) on their motorbikes when we were both riding Highway 50 in Nevada and who promptly invited me to visit. Thanks guys! This was quite good a few years ago but now it seems to have gone a bit too upmarket for a long term solo traveller, so I haven’t used it at all on this trip. Oh well.